Firestorm Planetfall is an action-packed ground warfare game set in the compelling Firestorm Galaxy. At your command are a host of vehicle types including tanks, skimmers, leviathan war machines, flyers, infantry and much more. Choose from any of the six major races and their allies, organised into the mighty Alliance of Kurak and deadly Zenian League. Adapt and build your invasion task force to suit your needs, employing the largest of combat machines to crush your foes or the fastest of units to outmanoeuvre and destroy them. From lumbering leviathans to fast and nimble recon tanks, each battle group brings a plethora of models and numerous options to the gaming table. Fast-paced and brutal, Firestorm Planetfall is a rapid-play game that rewards tactics and strategy at any scale of engagement. Seize and hold vital objectives to gain victory, air-drop reinforcements of pivotal moments, and eliminate the enemy! 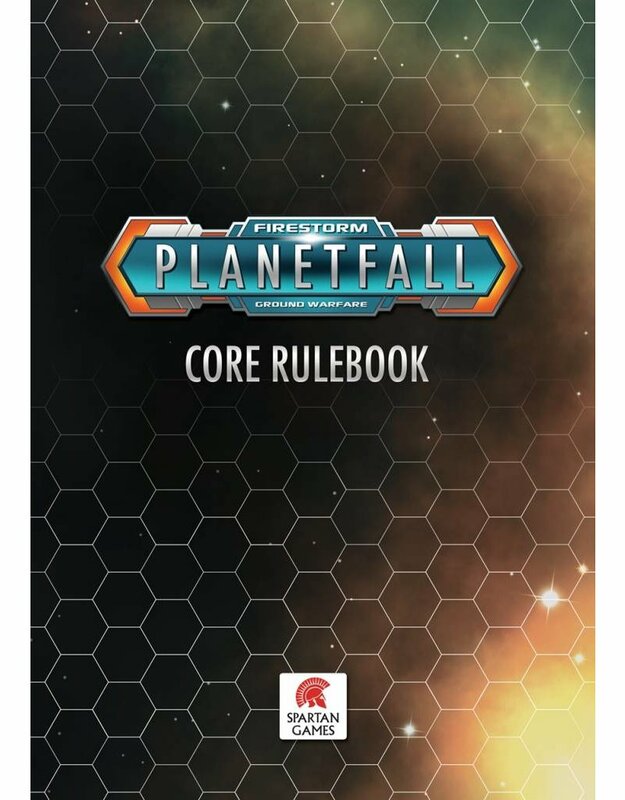 Prepare your troops, commander – it is time to make Planetfall!